This entry was posted on May 15, 2013 by OtomeJunkie!. 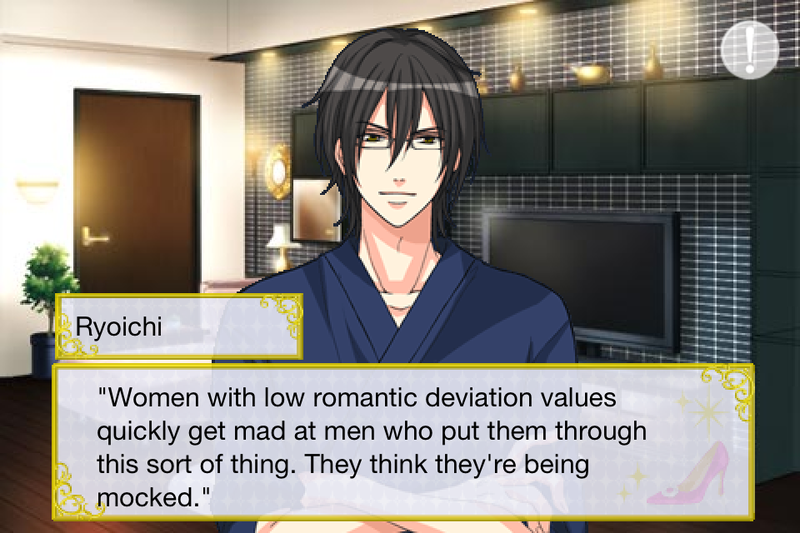 It was filed under OtomeGames, Seduced In the Sleepless City, Uncategorized, Voltage and was tagged with aijima, ajima, android, anime, appstore, celebrity, chihaya, favourite dish, food, game, gaming, goemon, gree, heroine, Hirose, itunes, kageyama, Kitaoji, koda, manga, mirai, Noel, otaku, otome, otomegame, OtomeGames, passionate relationships, princess, review, rich, romance, romancesim, rpg, Ryoichi, satsuki, seduced, Seduced In the Sleepless City, sim game, sleepless, special, spinoff, Uncategorized, videogames, visual novel, visualnovel, voltage, walkthrough, yuzuki. I’ve played the sequel, when it came out a week ago I think. I don’t like it as much as this story actually but it’s ok, the reason I don’t like it as much though is that the way that Ryo acts in this sequel is more like how my exbf acted with me, I like alittle bit of teasing but too much is very exhausting and hard to handle… because also Ryo has very similar hairstyle to my exbf too… So he kind of puts me off in this one cuz he now reminds me too much of that particular relationship. The story though is pretty good. On a random other note though, the editor chief looks exactly like my boyfriend now hahaha so I’m hoping against the odd I get a special or something with him! Hahaha!! 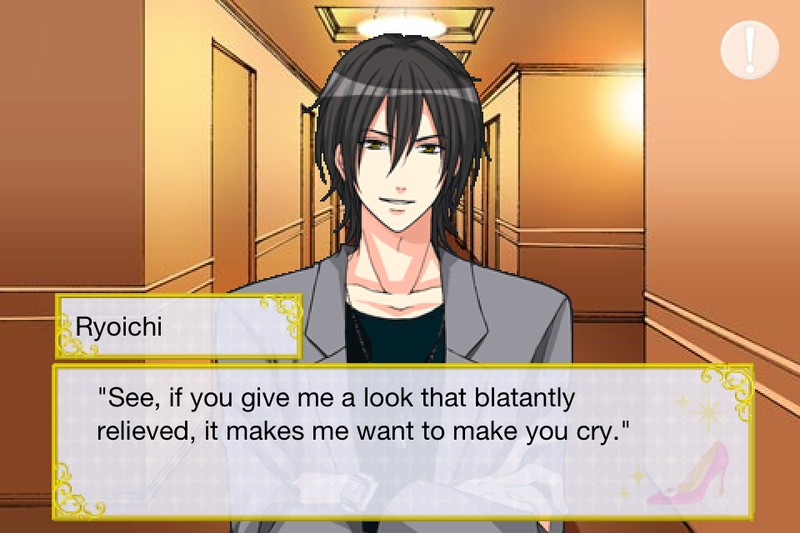 Ryoichi Hirose is my favourite character. In fact I have all of his stories. Or all 4 that are out. Main Story, Epilogue, Sequel, and Special. His are the only stories I bought. I have to disagree with you, he is gorgeous. I prefer dark hair myself, and I love his style. I LOVED every bit of his story and for me it was an “OMG, IM GOING TO FAINT THIS IS SO AMAZING! 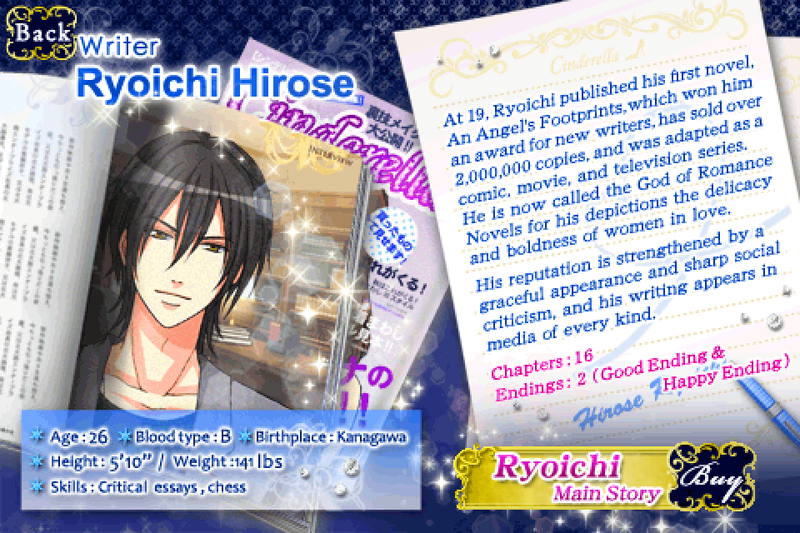 !” Ryoichi Hirose is very much my type. I’m a bit obsessed with him since reading the free part. I got Happy Endings in ALL 4 stories. In fact my real life husband/partner is similar to him. The constant teasing and picking. I am waiting for when they bring out more stories with him, I’ll be buying.